Car enthusiasts have mostly ignored the Chevy Impala since its switch to FWD in 2000 and Americans fled to SUVs and crossovers years earlier, leaving the car a darling of no one but fleet operators. 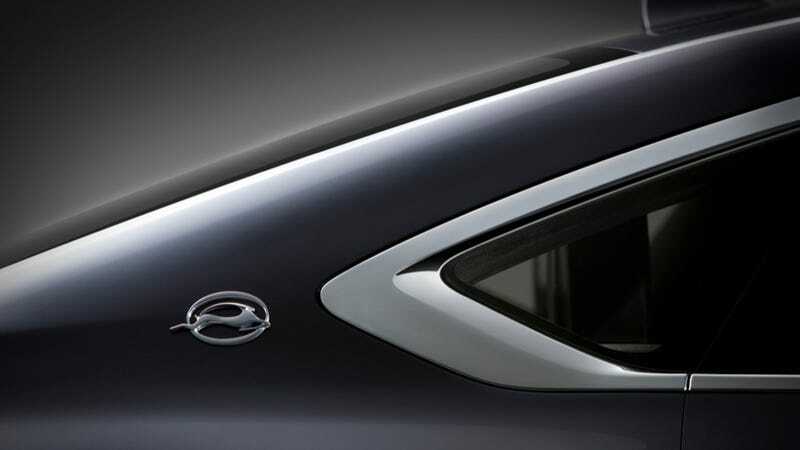 This first glimpse of the 2014 Chevy Impala's strong kink is the first evidence that there may be a reason to give the Impala, which debuts at the New York Auto Show next month, another look. First, kink aside, let's break any belief you have that this new car will be RWD. It almost certainly won't be. Instead it'll probably ride on the same extended Epsilon II platform that underpins the Cadillac XTS. This is a FWD/AWD platform, which means the possibility of powering the rear wheels but only as it also powers the front ones. Cadillac XTS: This is it! GM is saying the new version will be more stylish and better handling in their press announcement. "The new Impala further strengthens Chevrolet's passenger car lineup by giving consumers a full-size sedan that balances the desire for distinction with engaging driving dynamics," says Chevy marketing VP Chris Perry. It'll be a nice change as there are few cars less distinct and engaging than a current generation Impala.